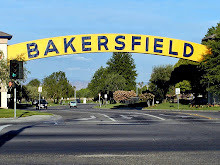 Bakersfield Observed: Bako bits: heading into another "First Friday" weekend and a crackdown at coffee houses? 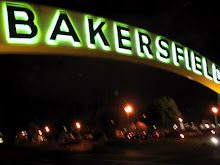 Bako bits: heading into another "First Friday" weekend and a crackdown at coffee houses? "Amid the economic downturn, there are fewer places in New York to plug in computers. As idle workers fill coffee-shop tables - nursing a single cup, if that, and surfing the Web for hours-and as shop owners struggle to stay in business, a decade-old love affair between the coffee shops and laptop-wielding customers is fading." * ... DOWNTOWN: WHERE THE ACTION IS: Don't forget about the "First Friday" fun downtown tomorrow night. Don Martin over at Metro Galleries is sprucing up the place and promises some new art to consider. Make a night of it and have dinner at Uricchio's or Mama Roombas and then hit the art galleries. It all starts around 6 p.m. and goes well into the evening, and you are bound to see a few dozen of your closest friends. 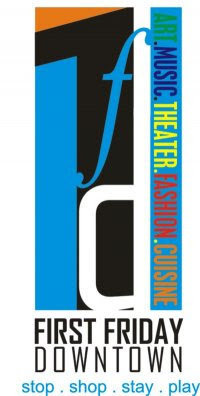 If Cafe Med is more your cup of tea, make sure you check out the Friday Eye Street entertainment section in The Californian and take advantage of the 20 percent off Cafe Med coupon, good for weekends. You'll find it on page D12. 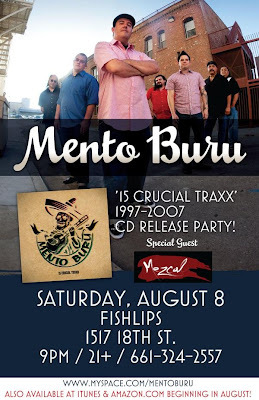 * ... MENTO BURU AT FISHLIPS: If you're in the mood for some of the Caribbean salsa/jazz/swing of popular local band Mento Buru, head over to Fishlips on 18th Street Saturday night for a party celebrating the release of the band's new CD. This is one of the most popular bands in Bakersfield and they always - without fail - put on a good show. Starts at 9 p.m. Saturday, admission is $5 for those 21 and over. Fishlips is located at 1517 18th Street. 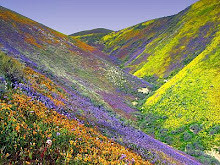 "Join us Friday, August 7 from 5-9PM for pasta made to order, refreshing Central Coast wines, or your favorite beer. 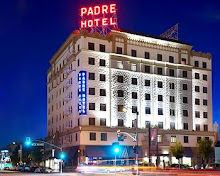 Relax and enjoy your evening strolling on 19th, 20th and H streets with art galleries, music, shopping and fun!"